Born Mollie Evans in Shirebrook, England to Bill and Edith on November 9, 1927. She married Albert Needham (d.1998) and emigrated to Canada in 1950 where they raised three children in Toronto, Keith (Bernie), Lorraine (Neil Wood) and Suzanne Hotson. In 1985 Mollie and Albert, retired in Kincardine where Molly became an accomplished painter, leaving behind many artistic endeavours for all to enjoy. Mollie was a cheerful and loving grandmother to Mackenzie Osborne (Kincardine), Nevin and Molly Hotson (Ottawa). A bon vivant, Mollie enjoyed traveling and friendship with all those she knew, often making friends with people from all around the globe, sharing letters and friendship long after the holiday had passed. 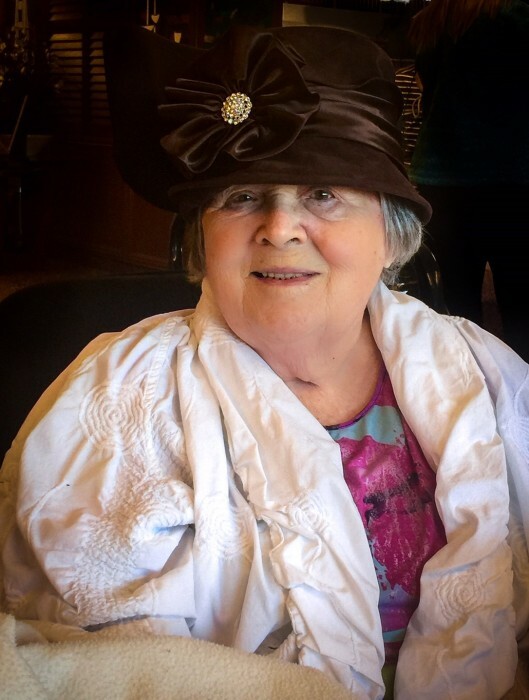 A vibrant member of the morning coffee club, the afternoon lunch club and the Red Hat Society, Mollie enjoyed many laughs and stories with loving friends. Mollie will be remembered as a loving soul who embraced life bringing joy to all those who knew her, always looking for the good in everyone. Her final years were spent at Trillium Court where staff embraced Mollie as their family. We are forever grateful for the kindness and love that Mollie received and for the compassion staff shared with Mollie’s family during her final days. A special thank you to Joyce Neyvatte who provided friendship and palliative care in Mollie’s final week, tirelessly spending every night with her so Mollie would have company around the clock. We invite friends to a Celebration of Mollie’s life on Saturday, May 21 at 10:00 a.m. to be held at Trillium Court, 550 Phillip Place, Kincardine. Please join us in remembering Mollie’s joyful life.